Theme : "Contemporary Art Practice in Domestic Space." Hours: 4:15 p.m. - 6:15 p.m. Admission is free if you bring artwork you can trade, Otherwise the material fee(1,000 yen) is payable at the door. Please sign up by emailing or faxing your name, e-mail address, phone number, postal address and occupation. Please indicate the title of the event you would like to join. Hours: 1 p.m. - 3 p.m. Admission is Free if you bring artwork you can trade,otherwise the material fee(1,000 yen) is payable at the door. Theme : " Traditional Culture, Country, Region, Home, and Art." 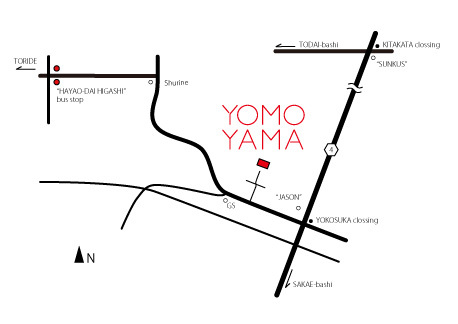 and the YOMOYAMA HOUSE participating artists. The facility is approximately 5-min. walk from bus stop. We participate in TAP(Toride Art Project) 2007 Open Studio between 9 and 25 November 2007. Open on Friday, Saturday, and Sunday only.